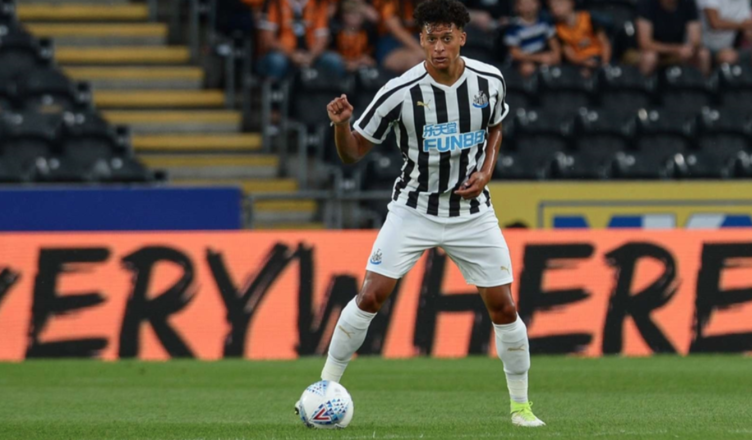 Young ‘Magpies’ Who Could Be Given First Team Chance – NUFC blog – Newcastle United blog – NUFC Fixtures, News and Forum. That has been the case this season with the introduction into the first team of Sean Longstaff. The youngster has been an essential player for the Toon since making his Premier League debut earlier in the season and was awarded the man of the match accolade in the club’s famous win over Manchester City in January. This was undoubtedly the best performance of the season, as most bookmakers had City as heavy favourites. Rafa Benitez is often pushed to work in the youngsters as Mike Ashley keeps the purse strings tight, but the Spaniard has bred the youth in fine fashion and has excelled in coaching the players and progressing them into the players that the club needs. But, who could be the next local lad to play a part for the club? Victor Fernandez arrived at the Toon in January 2017 from Spanish side UE Cornella and has looked impressive for the reserves ever since. Fernandez was handed a first-team chance during the summer pre-season tour. However, this was in the full-back position instead of his preferred position as a winger. He made 18 appearances last season for the reserves scoring only once. The 20-year-old is still learning the trade, adapting his game and has been unfortunate with injury of late, but he offers excellent speed and trickery. Benitez could turn to the Barcelona born lad if Newcastle lack some creativity and flair. He looks a real talent. Newcastle-born Roberts has been extremely impressive in recent months for the reserves team and he is well-fancied by the Spanish manager. The 21-year-old winger has had loan spells at Scottish teams Gateshead and Kilmarnock, while he has been given his first-team chance during this pre-season. With the latter of the two clubs, he would have learnt a lot as he played alongside local the now first-team regular Sean Longstaff. He was due to end the 2018-19 season with Colchester United but he was been recalled, playing only on three occasions despite the fans have quickly taken to the attitude that he has on the field. Although the club has high hopes for his future, the fact that he has only played less than 20 senior games mean that the Geordie supporters might need to hold their horses on this one. The local winger shares the defensive position with fellow youngster Fernandez. However, more recently he was given a run in his more favoured attacking position for the first team. The young winger has also featured for the England U20 side and has played on three occasions; only highlighting his abilities. Should Benitez feel that he wants something different from his wide players next season, then Roberts has an excellent chance of being given his opportunity at gracing the Premier League. Yarney is arguably the most likely bet to get minutes in the Premier League next season. Yarney already has over 30 appearances in senior football with his spell at Morecambe at the back end of the 2017-18 season giving him the most minutes. This impressed Benitez and Yarney was given his chance over pre-season and performed well. Unfortunately, the battle against relegation meant that the club relied heavily on the senior players and the high form of Fabian Schar meant that he was again loaned out. He will spend the rest of the season at Chesterfield, where he has already played five times in all competitions. Despite spending a lot of his youth career at Everton, the young defender feels like a local lad and that will ensure that the fans get behind him when he finally breaks into the first team. Benitez is vocal about his desire to sign another central defender, but should Ashley not be willing to spend some money then it will likely be the Liverpudlian that he turns to. I would love to see these young players get their chance. Roberts looked decent in the cup game against Bburn – I know he’s still unproven at PL level but give him a chance – Atsu and Kenedy aren’t doing it. Rafa seems to like Fernandez too – injury may have held him back so far, but having seen him first hand – this lad is quality with the ball at his feet – won’t get the same time in the PL though so how knows. I would love to see Sterry, Toure and Sorensen considered too. If 3 or 4 can move up to the first team squad, that obviously means more money to spend on game winners. Everton done it with the likes of Kenny, Davies, Lookman and Calvert Lewin making the step up. I see that Gateshead has moved to Scotland or have they moved the border.